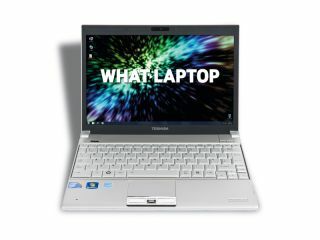 What's the best Toshiba laptop? If you've settled on an Toshiba, then you're probably wondering what the best Toshiba laptop is for your budget. Here we've gathered together the top models for your delectation. But if you don't want to buy a Toshiba, check our 20 best laptops in the world piece. If it's a netbook you want, look at our 15 best netbooks. The Satellite Pro C650-197 is still a decent machine. Performance is assured, thanks to the Intel Core i3 processor, while the widescreen display is bright, vibrant and perfect for working – or playing – well into the night. The Toshiba Satellite L630-13M is a great all-round machine. The solid chassis looks good and is easy to transport, while the Pentium processor offers decent performance. Plenty of features add to the overall package, with almost no flaws in evidence. What's not to love about this Intel Core i7-powered laptop? Thin and light, but still packing multi-core performance, 4GB of RAM and with an SSD for speed data storage, Toshiba's got a real winner here. This is an ideal home entertainment laptop featuring a quad-core Core i7 processor and Nvidia graphics, with a 16-inch 1366 x 768 screen. A dual-core processer gives this laptop enough power for business use, but it's the super light and thing chassis that will blow you away.